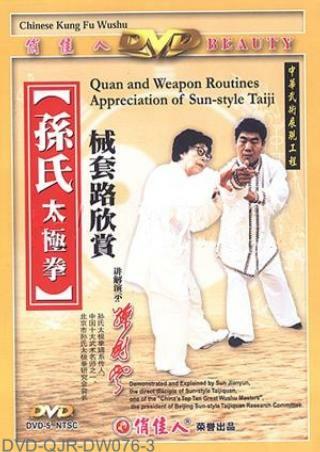 The most basic feature of Sun-style Taiji Quan is the combination of the essential techniques of Xingyi (Imitation Boxing), Bagua (Eight Diagrams Palm) and Taiji boxing. A forward step is closely followed by the hind foot and vice versa. Each movement is relaxed and flexible, quick and natural. The whole routine of this boxing is played without break, like cloud flying and water flowing. A move leads to all parts of your body to move and a stop leads them all to stillness, so it is called Kaihe (open and close) Taiji Quan.